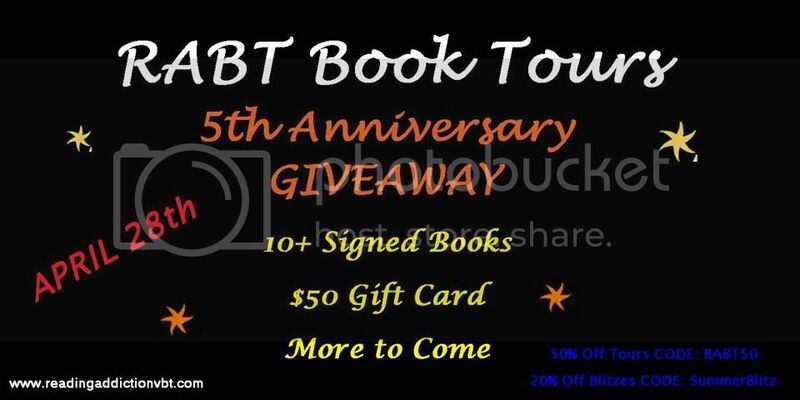 RABT Book Tours is Officially 5 Years Old! We are celebrating by offering our Biggest Discount to Authors + a Reader Giveaway! Book Your Tour by May 6th and Receive 50% Off any Tour by using the Discount: Code RABT50 ! Tours can take place anytime between June - September! Blitzes are 20% Off All Summer Long! Are you an Author who has a FREE novel this Summer or a novel on Kindle Unlimited? We are running a Mega Blast Promotion for Free and KU reads this June! This Blitz will take place June 7th and your novel will need to be free at that time. Help us celebrate and enter the Giveaway!